The STOP APP is the first app of its kind to combine community empowerment, big data management and anti-trafficking expertise to disrupt and prevent human trafficking. 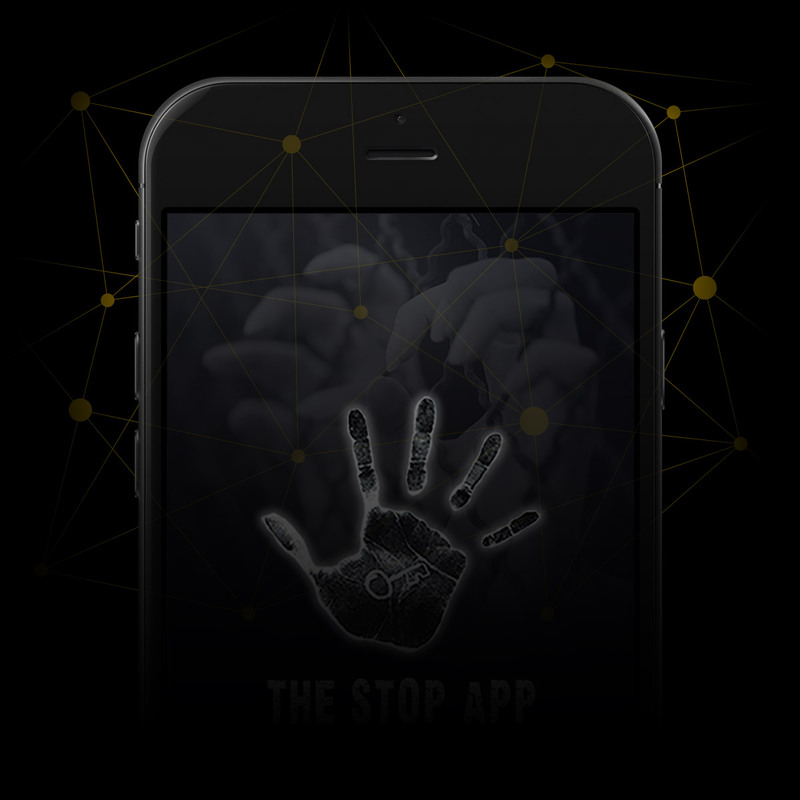 The STOP APP can be downloaded by any individual in the world with a smartphone and empowers everybody who has seen or heard a situation they believe to be linked to human trafficking or modern slavery to share their story, safely and securely. Every story, no matter how small, whether current or historic, is important and relevant. What’s more, it may be the missing piece of a bigger picture. All information inputted to the STOP APP is fed directly into the Centre for Intelligence-Led Prevention (CfILP), where it is analysed alongside global data on human trafficking and modern slavery. This data is used to build intelligence on global trends and hotspots of human trafficking, which enables us to disrupt, prevent and predict this criminal activity. You can also share information with us on our online, safely and securely. What exactly is it and who is it aimed at? The STOP APP is a tool which enables anybody who knows, has seen or even heard a situation that they believe to be human trafficking, to talk about it in a safe and secure space. The information given will contribute to a larger and more accurate picture of human trafficking, a picture which can then inform efforts to combat it. The STOP APP can be downloaded onto any smart phone, eg. from Apple’s App Store or Google Play for Android. When searching for The STOP APP, Android users will need to search ‘the stop app end trafficking’ and Apple users ‘The stop app end human trafficking’ to find it. We want anybody to use it: activists, members of the public who see or hear of something suspicious, NGOs, even police/immigration officers. Anybody who has reason to believe they have witnessed something. Is it a substitute for making a report to the Police? NO! If you have information about a crime happening now, or it is clear that someone is at risk, you should tell the authorities first and STOP THE TRAFFIK second. There will be times where the individual may not trust the local authorities and will choose to act differently but that is for them to decide not for us to direct them. What kind of details can be submitted? There are several different fields for users to enter as much or as little as they feel like/feel comfortable sharing. As well as fields requiring specific details there is a ‘Describe the Incident’ box, which provides a free text field so that people can tell us whatever information they want in free form. The STOP APP also allows the user to upload photographs and video. Is it safe for the person submitting data? The first thing a user sees when they open The STOP APP is a page of information about safety and usage. It encourages the user to hide The STOP APP amongst other apps on their phone and to use it in a secure place. The user can make the report anonymously and there will be no record of the report submitted on the user’s phone. The user should only input the data when they are in a safe place away from the suspected incident. No personal data will be shared with any organisation or business unless a data sharing agreement, compliant with European law, is in place. No personal data will be shared with a UK law enforcement agency without appropriate judicial authority. No personal data will be shared with a law enforcement agency outside of the UK except where that agency has sought and obtained judicial authority in the context of internationally recognized mutual legal assistance provisions. In practice this means that, under judicial authority, personal data would be provided only through the intervention of a UK court. Where we have reason to believe that any data-sharing request would result directly or indirectly in harm to an individual that request will be declined. All exchanges of personal data will be specifically authorised by a competent officer within STOP THE TRAFFIK. When data is entered into the app it is sent to and held in a secure layer of the Cloud accessible only to STOP THE TRAFFIK. We then turn the raw data into intelligence using professional analysts and state-of-the-art analytical tools, which will process it and look for patterns. This will then give us information on human trafficking trends and hotspots in different parts of the world. It will potentially highlight particular businesses or areas that are vulnerable and thus allow for focused action from those trying to address the issue. In some cases, it will identify human traffickers or victims. Who is informed so something can be done? We have to be careful to operate within data protection law. We will only give personal information to organisations that have signed a data sharing agreement with us to ensure they meet the appropriate data protection standards. We will only give information to a law enforcement agency where there is a court order in place and when we believe it is safe and appropriate to do so. What if the data is about someone in immediate danger? 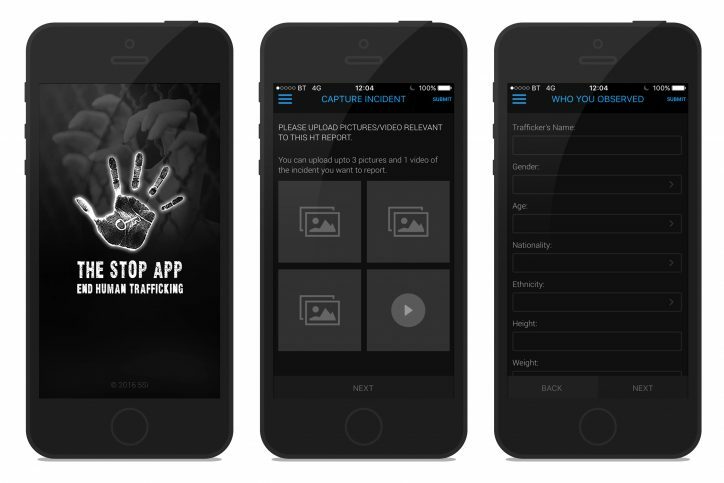 The App encourages the user to report such incidents immediately to the authorities. At the same time, we will have a system in a place in which relevant organisations and authorities will be contacted so that appropriate action can be taken if we deem it necessary to do so for that particular situation. Isn't an uncorroborated and anonymous report useless? Probably, yes. But corroboration comes in different ways. One report telling us about a pattern of human trafficking in a given area is interesting. Twenty reports telling us the same thing add up to a believable story. That’s why it’s important that we get as many people to download and use The STOP APP as we can. The more material we get, the better and more accurate the picture will be. STOP THE TRAFFIK is a charity registered in the UK. The Centre for Intelligence Led Prevention is paid for primarily through charitable donations to STOP THE TRAFFIK. Many of the professional staff supporting the Centre work without charge and much of our software and hardware has been provided free by organisation such as IBM who believe in our objectives and want to support us. Yes, it is. In principle, anybody can ask anybody anything and anybody can tell anybody anything. Where concerns relating to specific jurisdictions have been raised we have sought professional advice to deal with that.